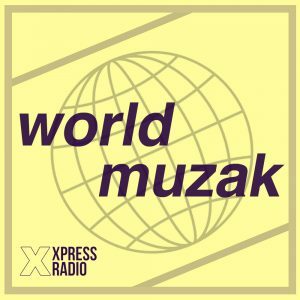 Here’s a list featuring some of the best alternative music acts from around the globe right now, as chosen by James from the World Muzak show here on Xpress. Hailing from Kinshasa, the densely populated capital of the DR Congo in Central Africa, this indie-electronic outfit sport repurposed instruments made from junk, like percussion made from old bleach bottles and toasters, and faux auto-tune from old radios & PVC pipes. In a region where real instruments are hard to come by, or just too expensive, they are bringing forward a DIY sound & representing the alternative music scene now present in many Kinshasa neighbourhoods. Their sound is fiercely original, combining their DIY street vibe with classic electronic synths & drum machines whilst still being club-friendly. Whilst more of a collective rather than traditional band, originating from block parties, members collaborate at La belle kinoise studios which has produced acts like Jupiter & Okwess International & Damon Albarn’s Africa Express. They’re touring the UK/EU festival circuit this spring and summer, and their hecticly energetic performances on stage are not to be missed. They are a group we’re obsessed with on the show, and whilst yet to release an album, we cannot wait to hear their more from them, and more artists alike. Previously only a locally known part-time wedding singer from North-Eastern Syria, Souleyman has now become internationally acclaimed, collaborating with Bjork & Four Tet and even performing at the 2013 Nobel Peace Prize Concert. Whilst not a new artist by any means, starting his career in 1994, he was exiled from his native Syria to Turkey in 2011 following the devastating conflict still continuing today. His latest album, From Syria, With Love, features his signature hectic combination of glaringly cheap sounding synthesisers, traditional flute samples and a suitably fast beat. Not to miss his passionately delivered vocals, which often consists of what could be better described as intense chanting and yelling. Whilst his music might sound quite bizarre at first to foreign ears, Souleyman is still delivering tender love songs like he has since the start of his career, but they can now be heard at weddings not just in Damascus but Dublin or Dubrovnik. Performing in Bristol on the 21st Feb, he alone is worth the journey down. Forget the Clifton Suspension Bridge or pingin at Motion, go see Omar Souleyman. You probably won’t regret it. The Turkish Psychedelic scene was massive in the 70s/80s. For some reason Psych/Funk is the genre that translates so well globally, with huge scenes in Lebanon, Israel and even Thailand during this time. However, the Turkish scene was not just an appropriation of the genre. Instead, the Turks featured their own traditional instruments, and bought about a certain Folk vibe, which they certainly made their own. Being a big fan myself, it was great to see a new group drawing inspiration from the great artists from this scene before them like Erkin Koray & Seyhan Karabay. As Turkey today sees itself losing its previously cosmopolitan vibe now under the reign of current leader Erdogan, with a record store attacked by anti-western national/traditionalists a few years ago for holding a Radiohead listening party, Altın Gün are based in the comfort of Amsterdam and tour the European circuit often. Along with usual western instruments, you can see below how one of the band-members plays synths and lead Baglama, or native 3-string guitar-ish instrument. And as well as a conventional drum kit, the band sports a percussionist with a set of traditional Davuls or small drums. Listen to the World Muzak show live every Tuesday 14:00-15:00. 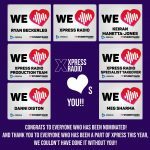 Or catch up on Mixcloud below, and follow the show’s Best of Spotify playlist for some worldly gems.